• Input of exterior needs. 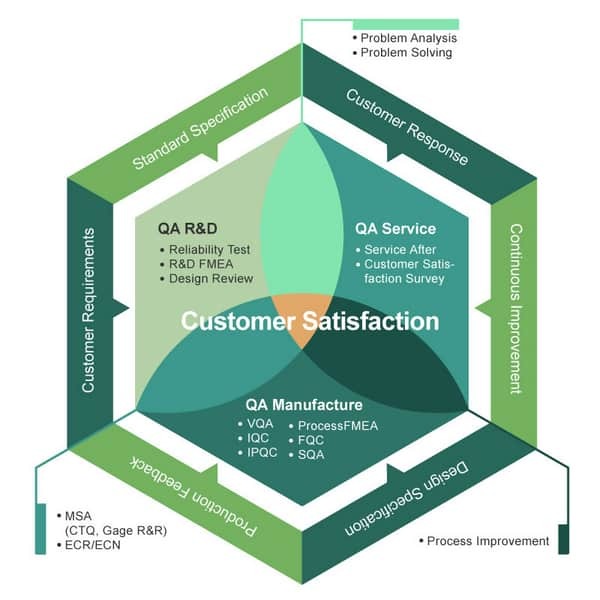 • Definite and effectively implement of the total QA system. • Control and improvement of the variable function flow. • Implement external and internal quality auditing. • Review by management stratum. • Investigate customer satisfaction and provide feedback . As a global home appliance manufacturer, we realize the importance of detailed records and tracking in raw material management, production process, product inspection, after-sales support, etc., in order to provide the best service to our customers. Verification of product performance in terms of electromagnetic interference and immunity. Related tests for product safety and performance. Establishment of a good operation and tracking system within the company to ensure stable product quality and gain customers’ confidence. 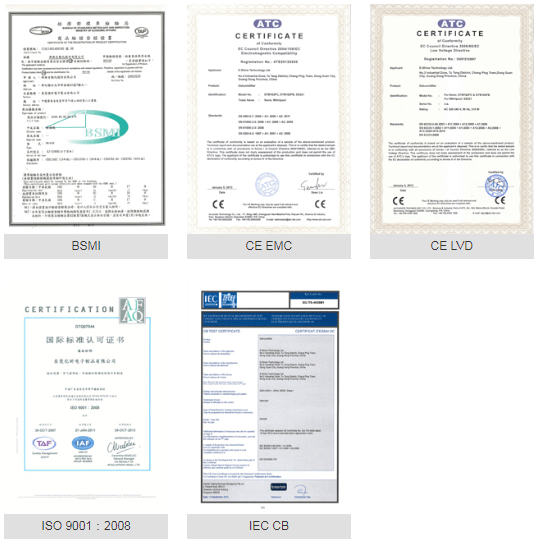 An international system for mutual acceptance of test reports and certificates dealing with the safety of electrical and electronic components, equipment and products.